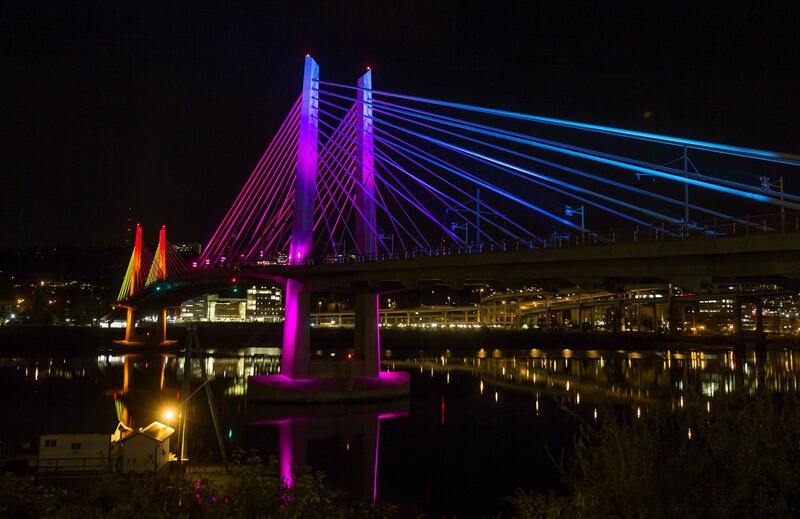 Tilikum Crossing Bridge is a amazing beacon for Native people. The return of native names to the public consciousness is invaluable to all people of the region. For so long Native presence within their own lands was ignored and invisible on the landscape. Much of the land was renamed with American, British, French or Spanish names, and so many of the original native names were forgotten for 160 years. This subject very much reminds me of why I researched the issues of tribal termination in the first place. Because for so long tribal histories and our living within the same lands we had always lived within was forgotten. I found that histories of the tribes were deficient. Most researchers only looked at the histories of the tribes before reservations or within the context of the Indian wars. Occasionally we were also recognized for our art and spirituality as well. But these were all of interest to the surrounding Americans, not to native peoples. We, our communities were engaged in surviving through economic and political hardships. our community was terminated for 29 years and in that time people suffered greatly. Part of the cost was we became an invisible population within our own lands. Many people even though we had ceased to exist, that we had gone extinct, like the condor, the grizzly, and the wolf in Oregon. This is a phenomenon that I wanted to understand further. So for over 15 years I did research on this phenomenon and found that with termination of the tribe came a certain invisibility of the tribal members. There was no longer a concentration of tribal people, and very little research and attention was paid to the tribal cultures. When the tribe was restored, our community has slowly built itself back from the era of termination. But still, 25-30 years after the tribe is restored, the community and culture is still being restored. Our presence in Portland is still being worked on as the tribe tells the people of the region that the Clackamas Chinook are the tribe of the city. In the past few years I worked on issues of naming things in the region. Kalapuya Elementary in Salem, Chifin Native Center in Springfield, and Tilikum bridge in Portland. It joins my other contributions to projects to name parks and fire boats in the region with native words. I wrote on an early posting that the process exciting and the committee members really took to the name. We chose a version of the name that is legitimate for the region, it is unique and acceptable to many tribes. We chose not to use other native words, like Wy-est which is now under suspicion for perhaps being an invented word in late 19th century literature, but which was popular in the voting. But the bridge means more than the name. There is a story on the Columbia of an almost mythical bridge over the river, The Bridge of the Gods. This bridge of natural rock likely collapsed at Celilo due to volcanic activity in the region. The story captures the imaginations of generations of tribal and non-tribal peoples and has been written and re-written in numerous forms over the years. The story of this mythical bridge, and its meaning to tribal peoples was the story I used to convinced the committee that Tilikum Crossing, Bridge of the People was to be the name of the new people’s bridge. Thereafter, the voting seemed academic, as the notion that we were essentially returning to the region a bridge for the people was exciting. The notion of the return of a mythical bridge for the people really captured our imagination, and felt to me like we were writing Native people back into the history of Portland. The word Tilikum is from the Chinuk wawa language, one of the languages of trade and communication for all tribes in the region.The use of this word resonates with all tribes in the region. The bridge signals a return of tribal presence in a traditional landscape. I am glad to have contributed to this project, to find a way to affect, in some small way, all of the tribes in the region. We are no longer invisible but now a permanent part of Portland.